Posted June 18, 2016 by Guest Writer & filed under Lists. May 1996 saw a brief return for Doctor Who to television following the final episode of the classic series in 1989, but it happened in a way no one quite expected. This TV movie was a co-production between the BBC and Fox that was intended to serve as a pilot for an American version of the science fiction drama. > Buy ‘The TV Movie’ on DVD on Amazon. Although McGann would not make another onscreen appearance in the role until 2013’s minisode ‘The Night of the Doctor’, his memorable Eighth Doctor lived on in novels, comic strips and Big Finish’s long-running audio dramas. Considering the fanbase’s positive reaction when McGann returned in 2013 and the popularity of the spin-off materials detailing his adventures, isn’t it time to rectify the fact that the Eighth Doctor never got a chance to appear in a season or two of his own? 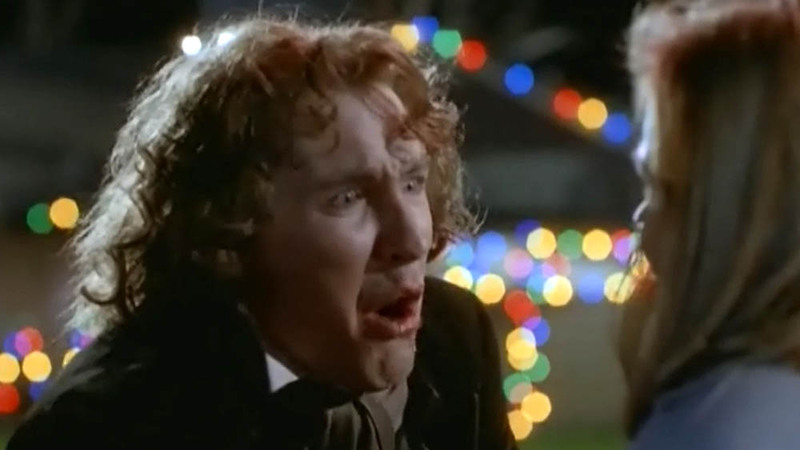 The majority of Whovians will all agree that between the TV movie in 1996 and the minisode in 2013, there simply hasn’t been enough screen time for the Eighth Doctor. Consequently, he is one of the least-seen Doctors in the show’s history. Unless one follows the novels and audio adventures (and it’s worth remembering that most fans actually don’t), the Eighth Doctor is simply a huge question mark. Some new Whovians may barely even be aware that there was an Eighth Doctor! At first glance, it might seem like a step backwards to revisit the adventures of a previous Doctor, but judging from everyone’s excitement when ‘The Night of the Doctor’ was first released, fans would jump at the chance to further explore the Eighth Doctor’s background. Whether the show would alternate episodes between the Eighth and Twelfth Doctors or give the Eighth a show of his own, McGann’s return to the role would be a bright spot in many a Whovian’s day. As much as we’re genuinely excited about BBC Three’s Class this autumn, it does seem like a missed opportunity to have fitted in an Eighth Doctor mini-series. If the Eighth Doctor did return to TV, it would be very easy to give him brand new companions and send him off on all-new adventures. But a better way to bring him back to the screen would be to bring his audio and novel companions with him; many of them are wildly popular with the fans of the spin-off materials, and bringing them onto the screen along with the Eighth Doctor would be a fantastic way to pay homage to those who have followed the Eighth Doctor’s off-screen adventures while simultaneously introducing these memorable characters to a new set of fans. It’s a crime that the likes of Nicola Walker and Sheridan Smith still haven’t been in Doctor Who anyway! The Eighth Doctor and his companions had so many exciting adventures in the own materials that there really wouldn’t be any need to write in someone entirely new. The stories already exist; they would just need to be adapted for TV. It wouldn’t be the first time a Doctor Who novel was adapted for the show; the Seventh Doctor novel ‘Human Nature’ was turned into a two-part story for the Tenth Doctor back in 2007. When the Eighth Doctor returned in 2013, it was apparent that the Time War had already been going on for a while. Cass had heard of the Time Lords and considered them just as bad as the Daleks, while the Doctor insisted that he was not like the others. His plea fell on deaf ears, and Cass let the ship crash rather than accept help from one of the people she so vehemently hated. What had the Time Lords done that caused ordinary soldiers like Cass to despise them? Why was the Doctor so eager to distance himself from his own people—well, more eager than usual? How did the Time War begin in the first place? Although there were hints of a larger fight happening during the classic series (the destruction of the Zygons’ home planet happened in ‘Terror of the Zygons’, and the Doctor struck a fatal blow against Skaro in ‘Remembrance of the Daleks’), the skirmishes apparently escalated to full-out battles during the Eighth Doctor’s time in the TARDIS. A show focusing on his adventures would potentially shed some new light onto how the Time War became so momentous and bloody. 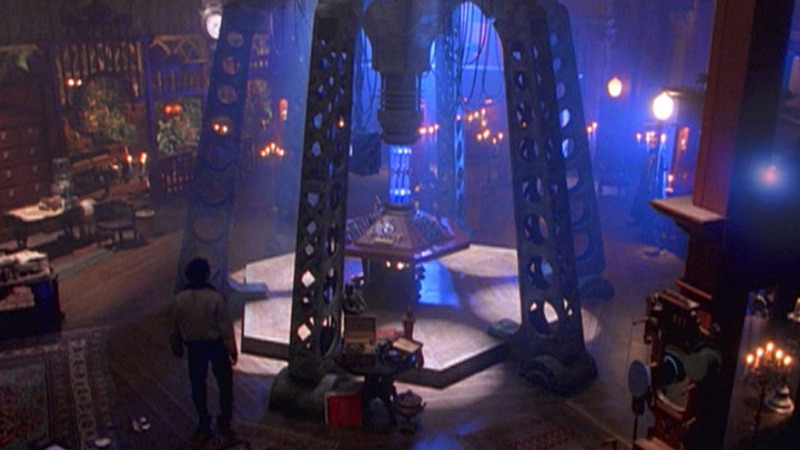 This is a rather minor argument for bringing back the Eighth Doctor, but the fact remains that he had one of the most impressive TARDIS interiors the show had seen up to that point, and it’s still visually impressive when compared to the modern-day designs. Its look was reminiscent of the secondary control room the Fourth Doctor used for a time, but it also possessed a certain unique elegance and sophistication, a combination of Earth and Gallifreyan styles, that would be gladly welcomed back. This design wasn’t just unique to the console room; it was present all throughout the TARDIS, from the library to the Cloister Room. Considering all of the different designs the TARDIS has sported in the past, a second chance to see one of the more complex desktop themes would be the icing on the cake of having the Eighth Doctor back, although the original set was likely junked years ago. The planned American Doctor Who series that was supposed to result from the TV movie would have had a very different tone from the original British version. Some of the changes, such as making the Daleks look more like Cybermen and making the Doctor and the Master half-brothers, were ultimately written out of the original movie script, but other changes, notably the Doctor’s admission of being half-human, were allowed to remain. It’s safe to say that if the US series had continued, so many elements from the original show would have changed that the end product would have ultimately had very little in common with the show that premiered in 1963. If they were willing to change the Doctor’s heritage, what else would they have eventually changed? Such drastic changes would not have sat well with the fans, and it would have been a shame for the Eighth Doctor, who showed such talent and promise in the TV movie, to have been relegated to a show that shared only a name with the original. Instead, while ‘The TV Movie’ is now widely accepted as canon, it is high time he was brought back to the real Doctor Who show and given a chance to showcase the talents and Doctorish charms that have already earned him fans among the novels and audio adventures. > Follow Paula Luther on Twitter. You need to give the Eighth Doctor’s Big Finish stories a listen. Clearly you haven’t yet or else you’d have realised the folly of what you’re saying. 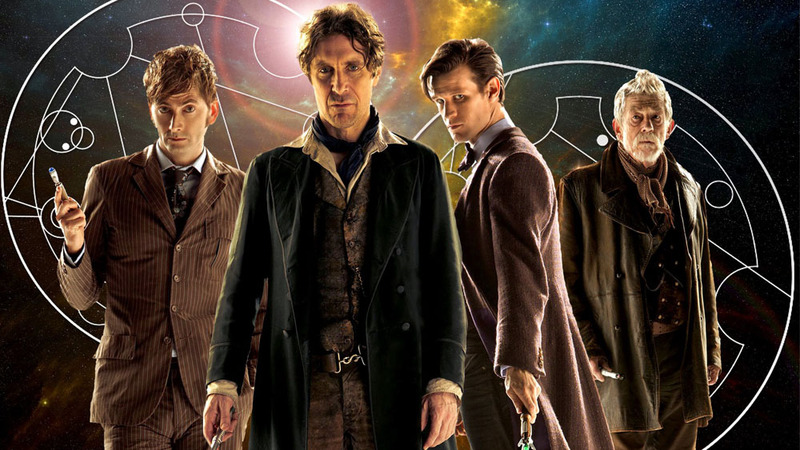 Want to see the Eighth Doctor back in Doctor Who? Here, have 15 years (and counting) of fantastic stories that largely put the TV series to shame – Enjoy! The audio format isn’t for everyone. It’s not a story thing either – I love Dark Eyes, but it’s just uncomfortable for me. I prefer books, to be honest. Big Finish do a FANtastic job. I’m thrilled for them, that they are able to continue… and it was a strength of Russell T Davies, that he not only recognised the wealth of good story material in the show’s absence- but drew upon it ( Finish’s ” Jubilee “, and The New Adventure’s ” Human Nature” ). However, I don’t really listen to them. Yes- they tell great stories. YES- their soundscapes are amazing…and yes, Dr. Moo is right to champion them; and to urge others to seek them out…yet- speaking for myself- Dr Who begins with the television series ( it doesn’t end there..No ). Millions watch the programme…thousands listen to audios. So it is a BIG FAT absolutely from me, that Paul McGann’s 8th Doc should appear in the tv show itself. That said, if more people do as The Moo suggests, that figure of thousands can only but rise !! The first 50 Doctor Who stories are only $3 each for the audio download. They have several free samples/stories on the site too. The eighth doctor lives in Big Finish. The stories and acting are excellent and Eight’s companions in BF put most of the current series’ companions to shame. Dare I say it but the Eighth doctor’s audio output runs rings around most of RTD’s stuff and some is good enough to sit within Moffat’s universe. I would love to see an 8/12 television pairing, even if only a Red Nose or Children in Need special simply because they represent the pinnacle of the audio and television doctors, but happy to have Eight continue in BF where at least we get a nice steady supply and he can intersct with other doctors and characters like the fantastic River Song. Agree. McGann is up with Capaldi as the best doctor, one rules in Big Finish, one rules in the TV show. Both are note perfect and represent the best to be found in the two mediums. I am hoping we get to hear Peter in the near future on audiobooks – there is an original 12 audio story coming up later this year which I think he may have recorded (fingers crossed) and I would love to see Paul in something with 12 as you suggest. The BBC said that filming would start in May. Then it was changed to June (I believe they have started), I hope, that filming did start in May, and they are filming the Christmas special with McGann! That would be a great Christmas present, Charlieboy !! One would think that the xmas special would be in the can- before cameras rolled on: Ep 1. of Season 10…yes. It would be a Christmas miracle! While the TVM was lacking it still managed to show of McGann’s brilliance, something Big Finish and The Night Of The Doctor have both proved further. More TV appearances? Not so sure but if there were some good way to integrate him into a multi-Doctor episode with 8 & 12 then I say “go for it”! What a Christmas present that would be! I would love to see 8 and 12 together. There would be a great respect between them rather than the scorn 12 would pour on Chinny and Sandshoes and we would be saved from too much forved whackiness. Paul is certainly up with Peter, Sir John and Matt as being versatile and in the first grade of our acting treasures. Night of the Doctor was such a joyful surprise. “The planned American Doctor Who series” …? The thing was co-produced/co-financed by the BBC. Calling it “American Doctor Who” seems unnecessarily derogatory. 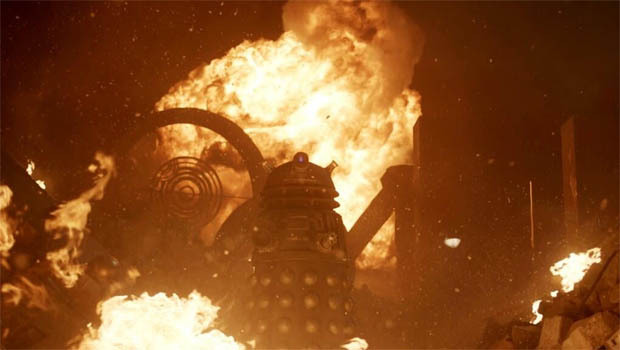 The TARDIS interior used in the movie was destroyed in a fire. By the Daleks in the Time War I expect. He’s already had many new adventures (and companions) in the Big Finish audio adventures, which give a really good idea of how awesome of a Doctor he is. For those not familiar with those audios, definitely check them out. It’s interesting how fan opinion of the TV Movie shifted. Before 2005 it was the huge boulder on top of the firmly nailed-down coffin of Doctor Who on television: seemingly all the proof BBC execs would need that Who could never work on TV again. Once New Who had become a hit, the McGann movie gradually became the quirky attempt at a US remake that didn’t really work but had its moments. People tend to look more favourably on things once they know that it’s not the thing that killed off the thing they like. I think that’s why you can take any popular TV show that’s run longer than 5 years and someone will say “it’s not as good as it used to be” about it, whether or not that’s objectively true, yet they’ll often revise that opinion once the next series rolls around. Yes, it could really work, take those audio adventures and turn them into TV episodes along with new stories. Either as a new series while the current Doctor takes a break, or, as flashbacks from the latest Doctor’s memories. I hated the movie but I don’t blame McGann for it. I liked the TARDIS set. 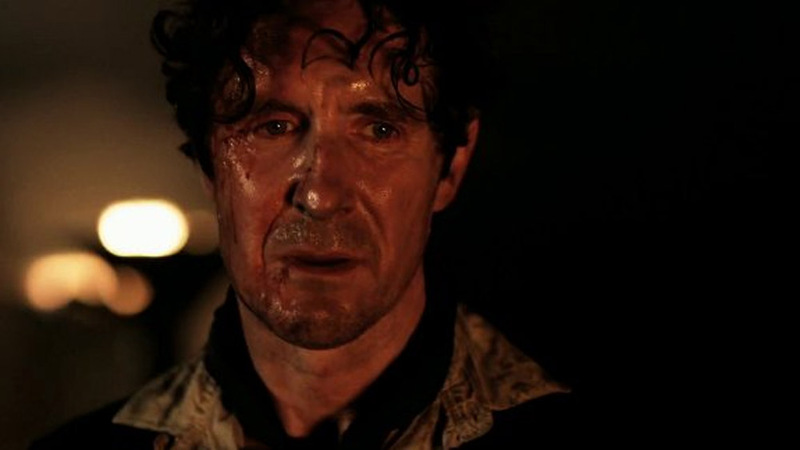 McGann was great in the Night of the Doctor so I’d like to see him play the Doctor with a good script. I plan to listen to more of the Big Finish audios with him. I met him last year and he was very friendly.